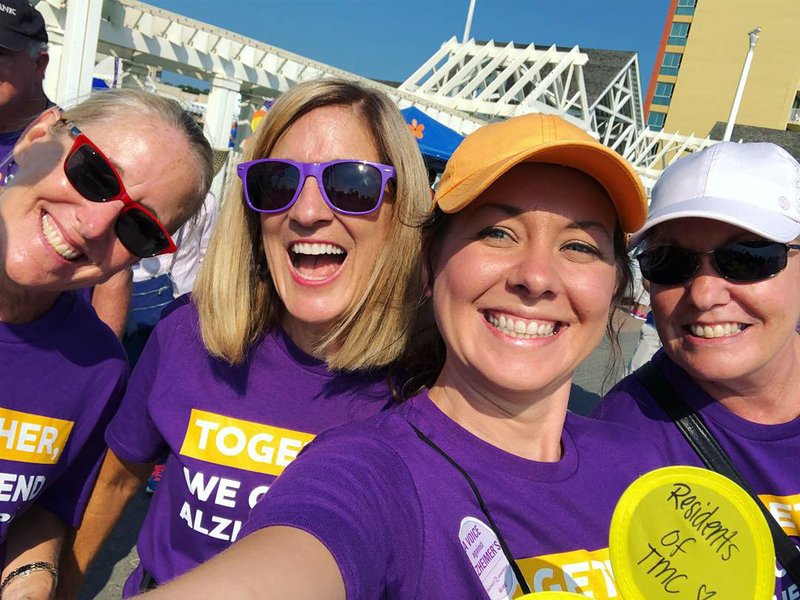 Home Virginia Beach Archive by category "Virginia Beach Events"
The Memory Center Virginia Beach was proud to take part in the 2018 Walk to End Alzheimer’s on Saturday, September 22, 2018. 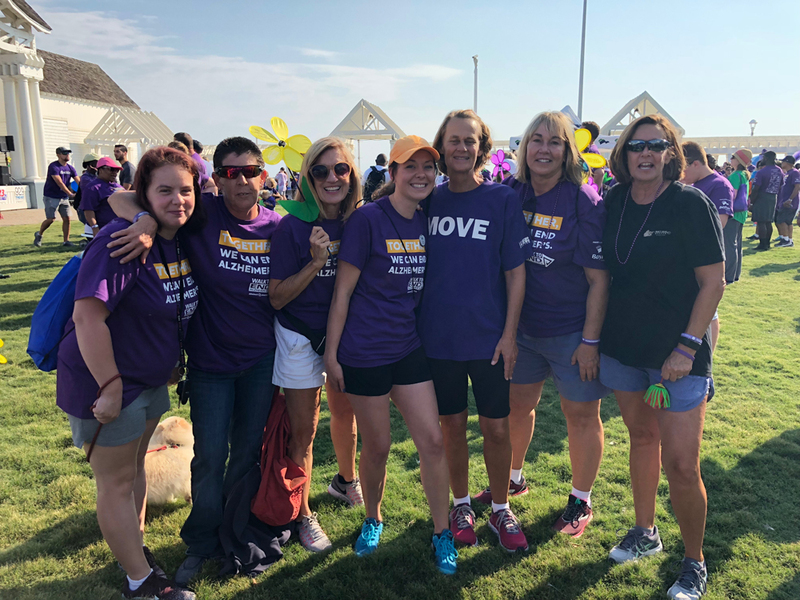 Thank you to everyone who took part today in the walk and supports our efforts to bring awareness about this disease. 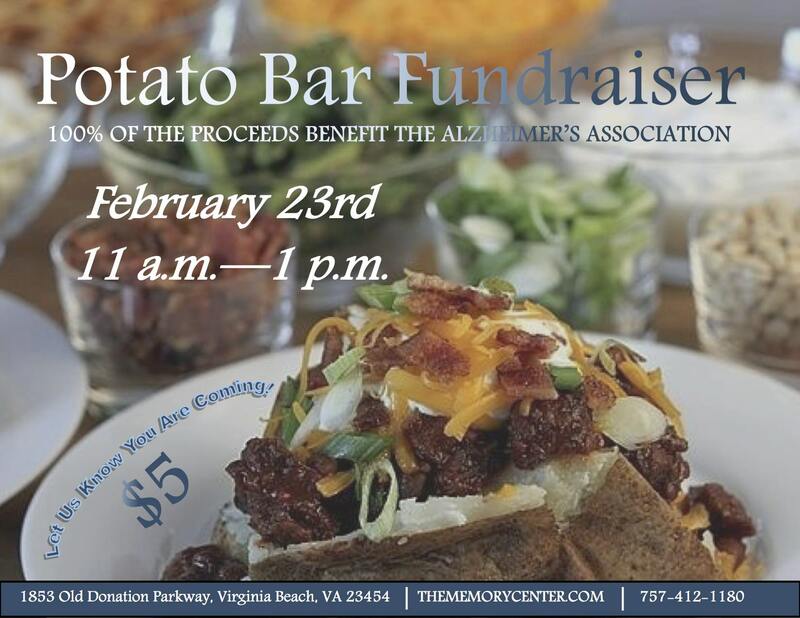 Join The Memory Center Virginia Beach for a special potato bar fundraiser to benefit The Alzheimer’s Association. For only $5 you can enjoy a fresh, hot baked potato with your choice of toppings. 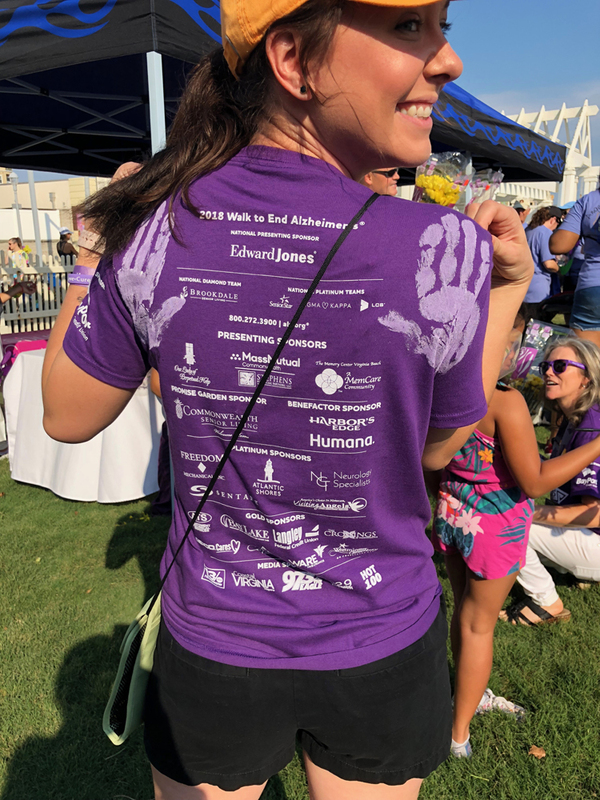 100% of the proceeds will benefit the Alzheimer’s Association. Everyone is welcome, just give us a call at 757-412-1180 to let us know you are coming. 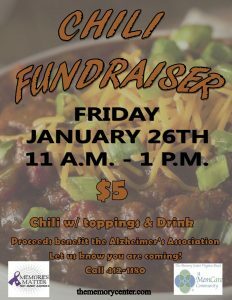 Join The Memory Center Virginia Beach for a chili fundraiser to support The Alzheimer’s Association. On January 26th from 11am – 1pm stop by The Memory Center for lunch. 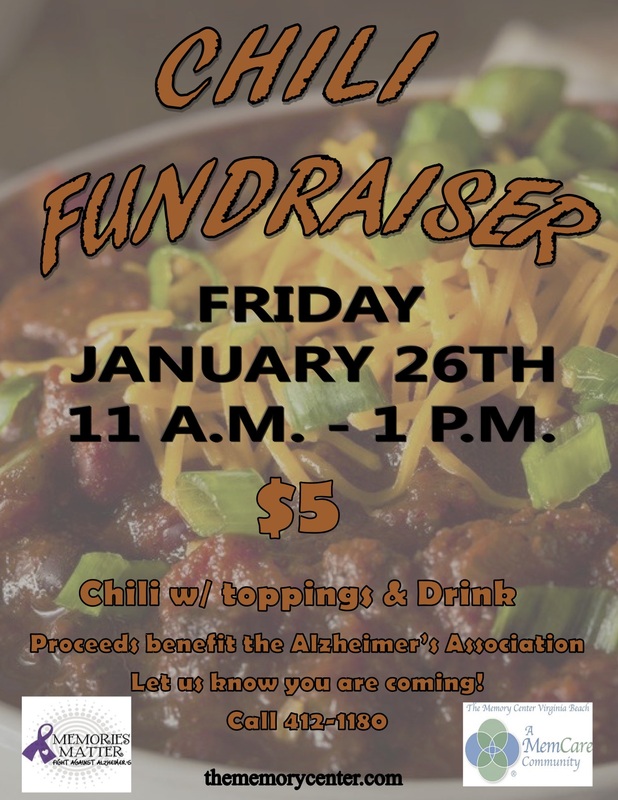 For only $5 get our delicious chili with all the toppings and a drink. All proceeds will go to The Alzheimer’s Association. Please call 757-412-1180 and let us know if you plan to join us. 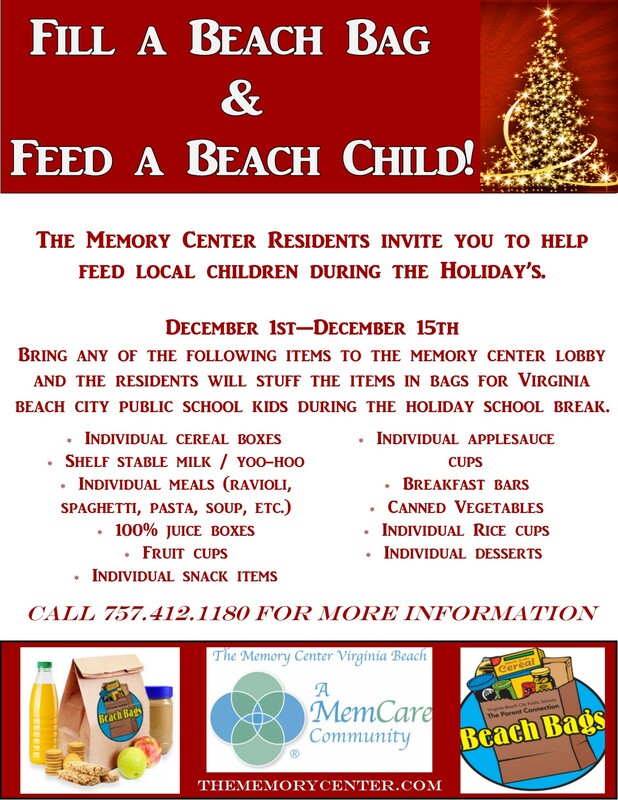 Every year The Memory Center, Virginia Beach participates in the Beach Bag program to help feed local children during the holidays during the school break. For many children, the school cafeteria is where most of their meals are eaten. During holiday and summer breaks they may not have enough to eat at home. You can help The Memory Center fill Beach Bags and feed a child in Virginia Beach. Click the flyer below for more details. 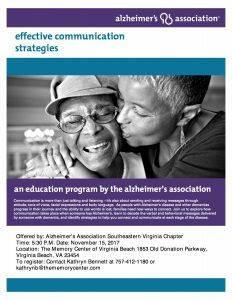 If you care for a friend or family member with Alzheimer’s or other form of dementia, you know unique communication challenges can arise. attitude, tone of voice, facial expressions and body language. 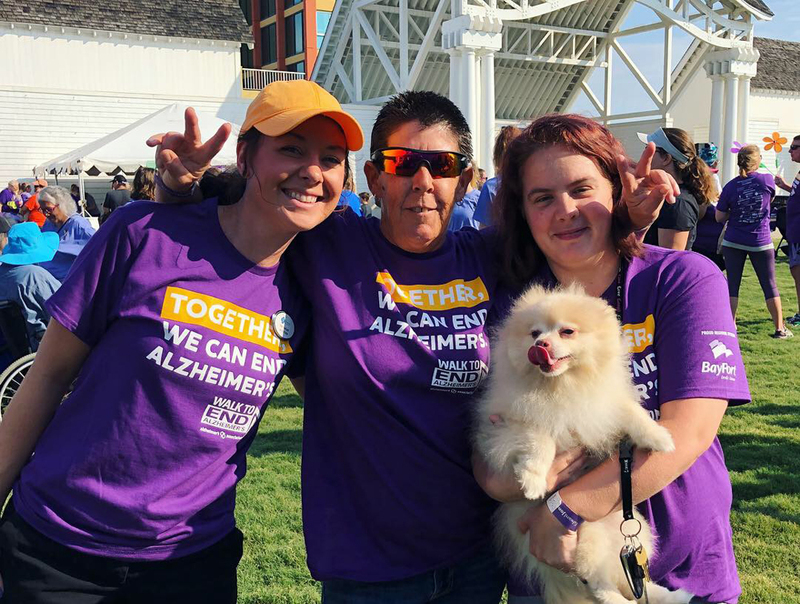 As people with Alzheimer’s disease and other dementias progress in their journey and the ability to use words is lost, families need new ways to connect. 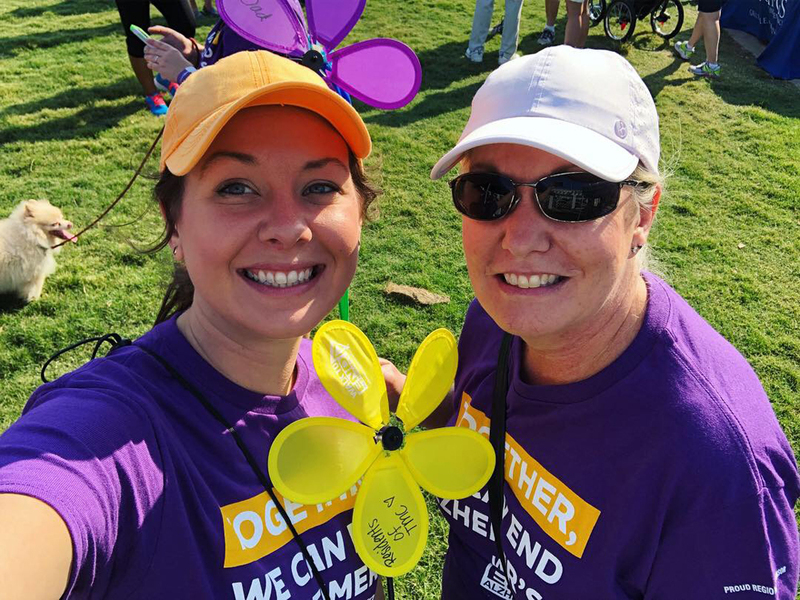 Join us to explore how communication takes place when someone has Alzheimer’s, learn to decode the verbal and behavioral messages delivered by someone with dementia, and identify strategies to help you connect and communicate at each stage of the disease. 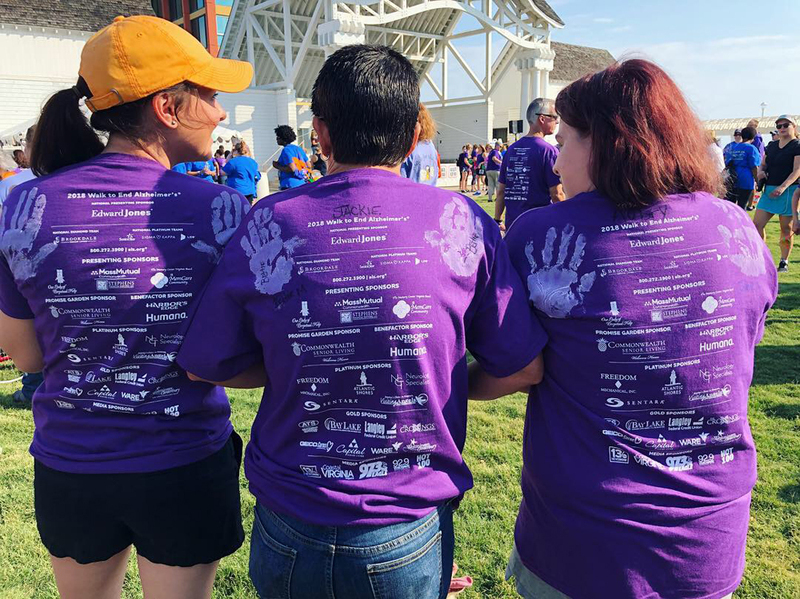 Join us on October 26th to learn more about The Memory Center and our exceptional team. Same day interviews will be available, no appointment is needed. 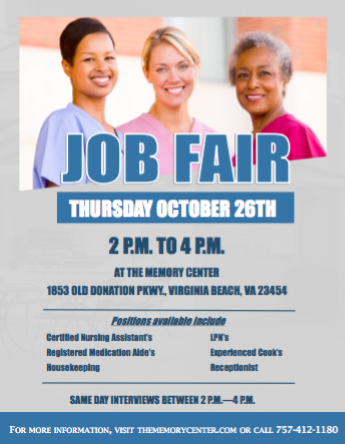 Read more about The Memory Center, Virginia Beach or contact us at 757-412-1180 for more information. The Memory Center is located at 1853 Old Donation Parkway in Virginia Beach. 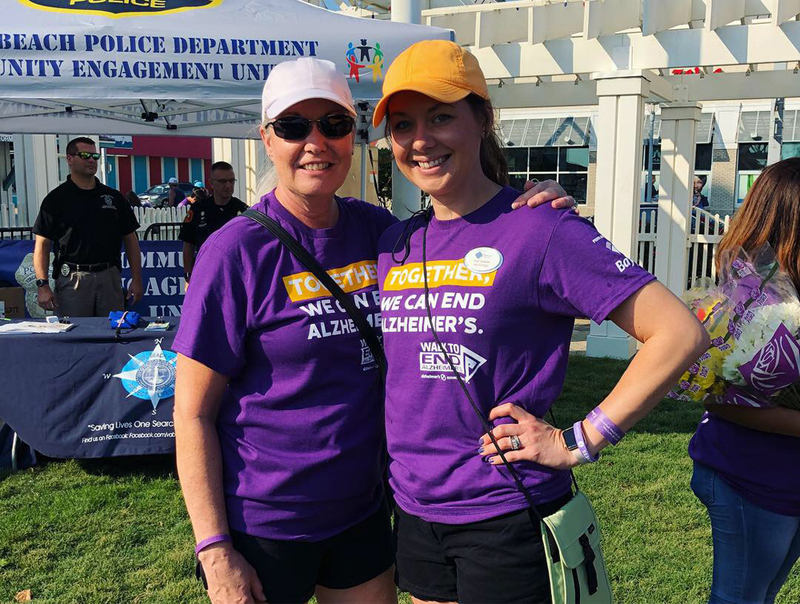 Join The Memory Center, Virginia Beach on Wednesday, August 2nd for lunch. Local favorites Slammies Food Truck will be here with their delicious menu specializing in gourmet sliders, grilled cheeses and sides such as cucumber salad and fried pickles with sriracha aioli. Prices for sandwiches begin at $5.00 and full combo meals are as little as $8.00. Virginia Beach, VA 23454 and our food truck events is open to the public. Contact us at (757) 412-1180 for more information about our memory care community. 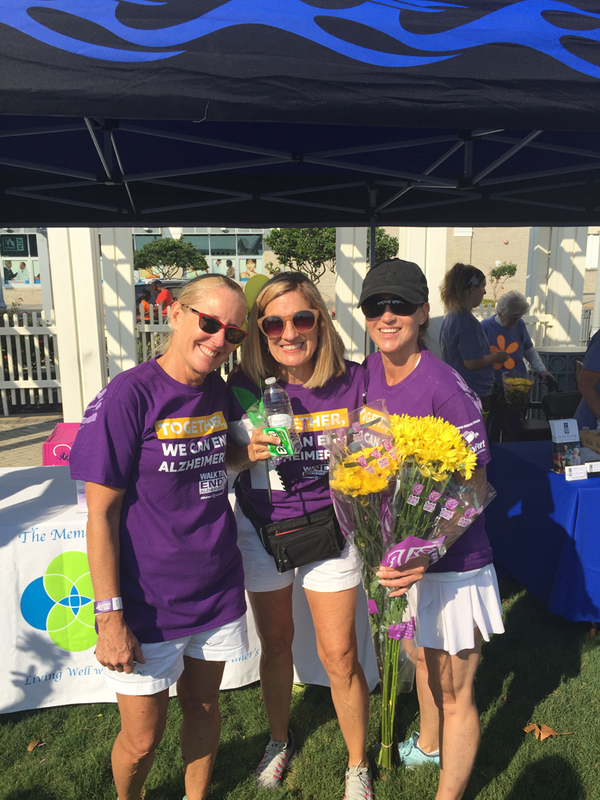 Join The Memory Center, Virginia Beach Friday, July 21st for lunch. For only $5 you get a full sized hot dog, potato salad, beans and a drink. 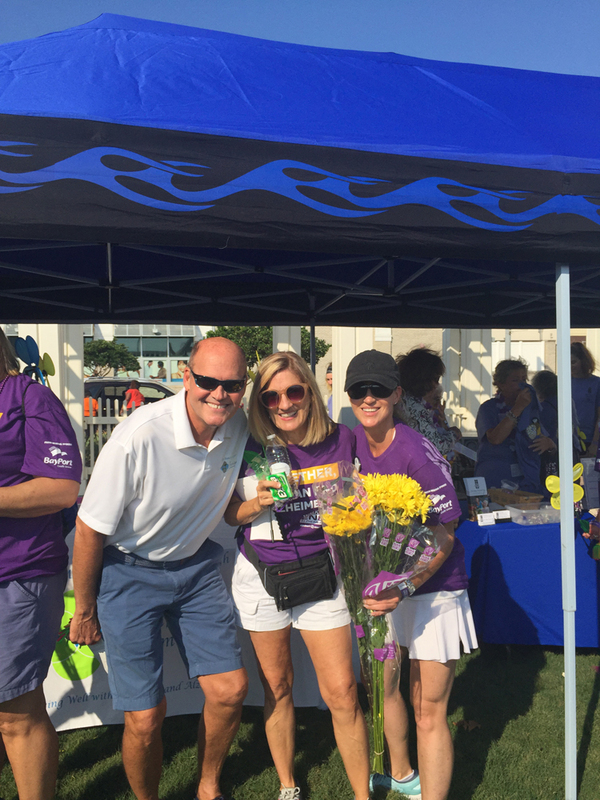 All proceeds will benefit The Alzheimer’s Association. This weather is perfect for showing off a clean car, and better yet helping a good cause! The Memory Center team will be washing your cars to raise money for the Alzheimer’s Association this June 21st from 11am – 1pm and 3pm – 4pm. 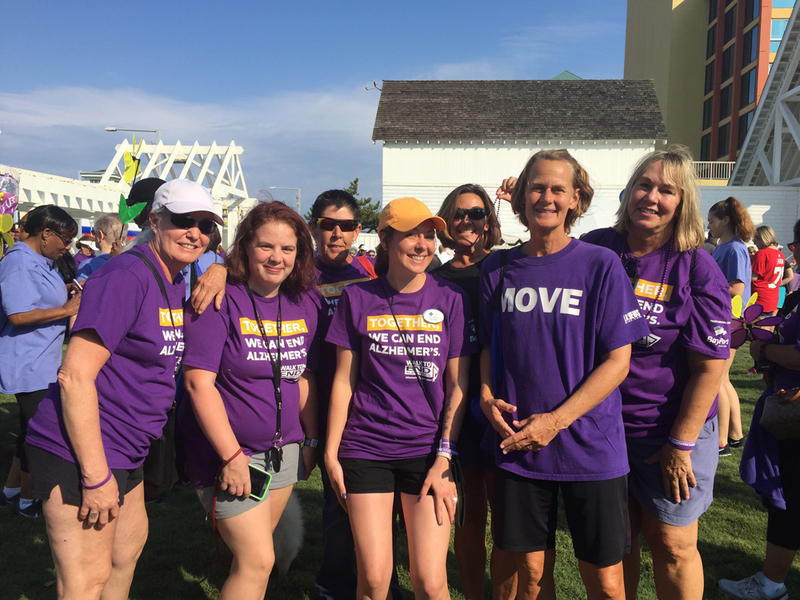 1853 Old Donation Pkwy, Virginia Beach and support our Alzheimer’s Walk Team! Many people assume memory loss is a normal part of the aging process, when in fact, it isn’t. Memory loss can be a sign of Alzheimer’s disease or dementia and you need to know the facts. Join us for an educational seminar to learn more about detection, risk factors, treatment, stages of the disease and much more. To Register Contact: This seminar is offered at no charge, but space is limited. Reserve your space by contacting Kathryn Bennett at 757-412-1180 or email: kathrynb@thememorycenter.com.